We went from only having a few Oregon based breweries available in Hawaii to a landslide in the past year. The latest, Occidental Brewing Company, is slated to start distributing to the islands in the next month. 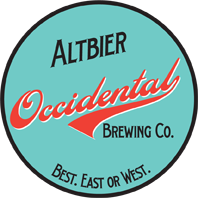 The Portland based brewery focuses primarily on German style lagers and European Ales. These guys don’t do IPAs. I’m personally excited to have access to another pilsner and other light and refreshing German style beers. 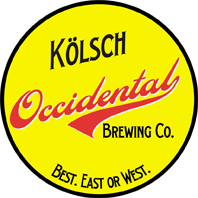 Occidental produces four year round beers (Kolsch, Alt, Dunkel, Hefe) and five seasonals (Maibock, Doppelbock, Festbeir, Dunkelweizen, Pilsner). 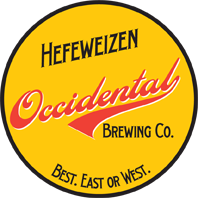 Hawaii is set to receive Occidental’s Kolsch, Alt, Hefeweizen, Pilsner and the Lucubrator (Doppelbock) in 16 ounce cans and kegs. Hefeweizen – 4.7% ABV – Our hefeweizen is of the classic Bavarian variety. Made with 70% wheat, lightly hopped with German Hallertauer, it’s refreshing and slightly dry with the beguiling banana and clove notes that give away the provenance of the true weizen yeast we use. This is a German-style wheat beer the way it should be–no lemon needed to make up for inadequacy. Alt – 5.3% ABV – Our take on Dusseldorf’s broad style features our most complex grain bill, which produces a malty, amber beer with a lot of flavor. Saphir hops give it a spicy, noble aroma and delicious hop profile. Definitely on the hoppy side for this style of beer. 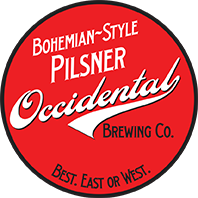 Pilsner – 4.8% ABV – Occidental’s take on the lager style that changed the beer world forever, this is a largely Bohemian-style pilsner with a bit of Bavarian pedigree. Crisp, clean, and dry, Czech Saaz hops crown this beautiful beer. 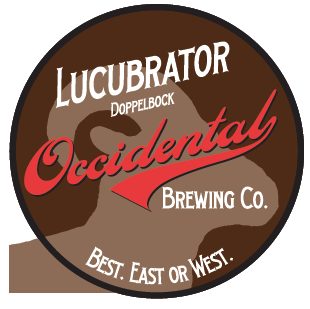 Lucubrator – 6.75% ABV – Our much anticipated doppel- bock is a dark and rich malty lager with a perfect balance of caramel, melanoidin, and a touch of roast malt. Its initial, subtle sweetness mellows nicely with subsequent sips and a pleasant alcohol finish makes for a nice winter warmer. Tags: New Beers, New Brewery, Occidental Brewing Company, Oregon, Portland. Bookmark the permalink. Will all these great breweries be distributed on Oahu?